Picnic dinners get a luxe upgrade with wine-and-cookie pairings. Wine and chocolate? So last summer, thanks to Seattle-based Cookie Box, which is redefining the concept of “cookie” with its savory line of treats gift-boxed especially to pair with wine. Created by local baker Marcia Sisley-Berger and Anne Nisbet (who manages the judging for our annual Wine Awards), each assortment features cookies created to play nice with the flavor profiles of wine. 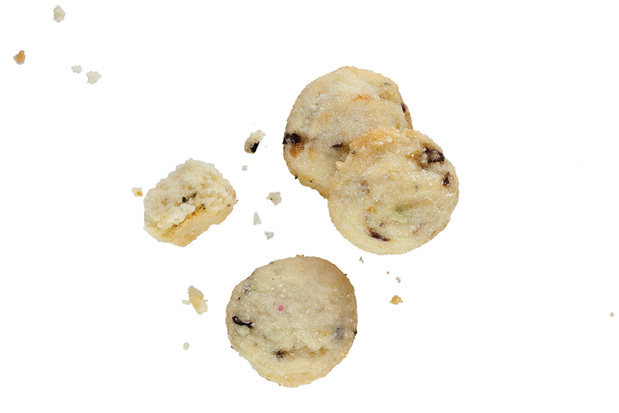 The Red Wine Box has two dozen cookies, including the “Jim,” made with sour cherry, sage and black pepper. From the White Wine Box, we like the “Pearl,”with pear, pink peppercorn and thyme. But best of all is the “Olivia,” which, when served with sparkling wine, walks the “cookie” line with flecks of black olive and lemon. Sadly, these cookies aren't entirely kid resistant, so parents, don’t forget the decoy Chips Ahoy.